How a remote team communicates is very important to the team’s success. Effective communication sets the foundation to deliver objectives, minimize disruptive conflict and build a team that people want to work for. Poor communication within a remote team will almost surely result in misunderstandings, delays or worse. Communication is one of the broadest and most-discussed topics when it comes to remote teams. It’s a topic that impacts systems, processes, behaviors, leadership and personnel. 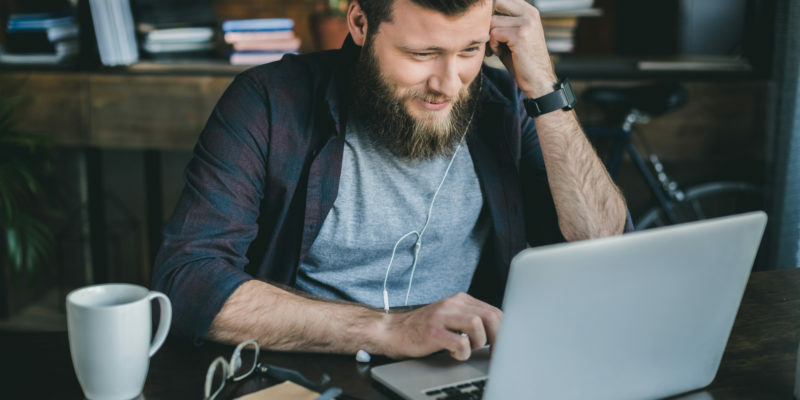 Overall, a remote team’s method of communication needs to effectively transfer information, build respect, engender trust and create a connection between team members. Both professional and personal connection is important for a remote team. Often it will be the personal connections that give a remote team the ability to forgive a disagreement, delay or misunderstanding. In a remote team, everyone has to take responsibility for communication, not just the team leaders. Each member of the team needs to develop a suitable communication style and take the time to communicate with others. Specific communication practices will need to be adapted to suit the needs of your remote team. The loss of context is a significant risk in a remote team. In the early stages of a remote team, it’s better to communicate more than less until you find the right balance for your team. However, throughout a team’s lifespan, you’ll need to encourage regular check-ins and ensure availability. Open channels of communication need to be established and maintained: build a system that encourages the right amount of communication. However, communication should be intentional. Have a purpose for a scheduled meeting or interaction. Opportunities to interact are limited, so don’t waste an opportunity! Interactions without a purpose can often turn into rambling encounters that may be perceived as a waste of time. Most remote teams need overlap time where all (or most) members are online. An hour is enough for some teams, while others will need half a day at a minimum. Each team member needs to commit to being available during the agreed overlap time. This time needs to be used effectively and should be spent on the highest priority tasks. Using an agreed time zone to set the schedule can also help the team. Decision-making is important. Decisions can often be made incidentally by teams who are co-located: at the end of meetings, or even during an unrelated meeting. It’s very easy to forget to communicate these decisions to a remote team. When a decision is made, make sure it’s communicated to other remote team members. Clear instructions are also key. Team members need to take the time to get instructions right. This can actually be a strength of remote teams because a lot of communication will be written. Unlike a meeting where instructions can be unclear or misinterpreted due to time pressures, increased time can encourage clarity and precision for a remote team. Written communication obviously becomes particularly important in a remote team. It’s important that each team member learns how to communicate their work in an observable, meaningful and respectful way to other team members. However, while it’s likely that this will be in written form and team members need to be good at this, written communication should never become the only type of communication. Meetings, messages, phone calls, video calls, long written notes: each type of communication has strengths and weaknesses. Meetings are really important for some tasks. Setting a direction, resolving complex problems and or building relationships are good examples. In-person meetings might be rare for a remote team, so many of these tasks will need to be done over video. Preparation becomes key to get the most out of these meetings. Email is on the decline in many companies and teams. Smaller discussions have shifted to chat (e.g. Slack), larger or more complex discussions has shifted to video (e.g. Skype), and project management has its own software alternatives (e.g. Trello). Email can be good for tasks that require a lengthy briefing with multiple attachments, and/or will need to be completed on another timezone. However, many teams use recorded video or screen capture for this purpose. Of course, chat or instant messaging has some strong advocates and others who are less convinced. Chat is very important for teams who are working on a similar time zone. Channels make the chat experience more productive, as do team members who practice good chat etiquette. For example, emoji’s can be a welcome addition to lighten the mood, but shouldn’t be overused. Your remote team will probably need tools for email, chat, video, screen capture, project management, knowledge management and other uses. However, try to avoid multiple tools for the same task. Of course, experiment from time to time, but choose the tools that work for your team. Finally, ensure your approach to communication meets your requirements and remains dynamic. Check what is working and change what is not working. Refine your approach to communication over time and encourage your remote team members to have the same mindset. This is just one of a series of articles we’ve recently published on remote teams. We’ve also got tips on how to build a remote team and how to hire remote developers in Vietnam. If you’d like to talk more about how a remote team could work for your company or project, contact Metasource.